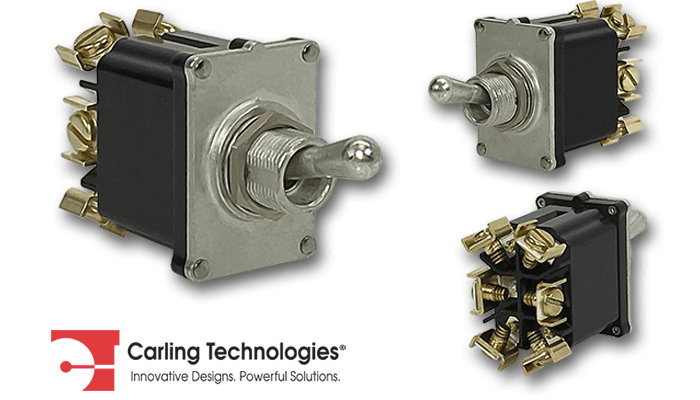 Amelec is pleased to announce the release of Carling’s premier new range of military grade toggle switches – the new ST Series. The ST Series are sealed to IP68 (from the front) and constructed of the highest quality materials to withstand the harshest environmental conditions. Designed from the ground up for maximum performance, durability, reliability and longevity, the ST Series are ideal for exterior applications in military, mining, offshore, marine and other arduous applications. At this time the ST Series are available for switching 12/24 Volt DC circuits only. for your best viewing experience. 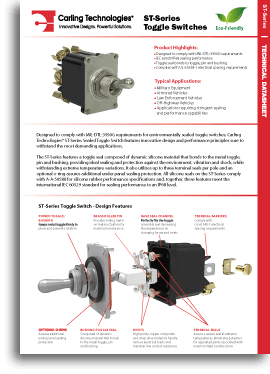 Share the post "NEW Carling ST-Series Toggle Switches"